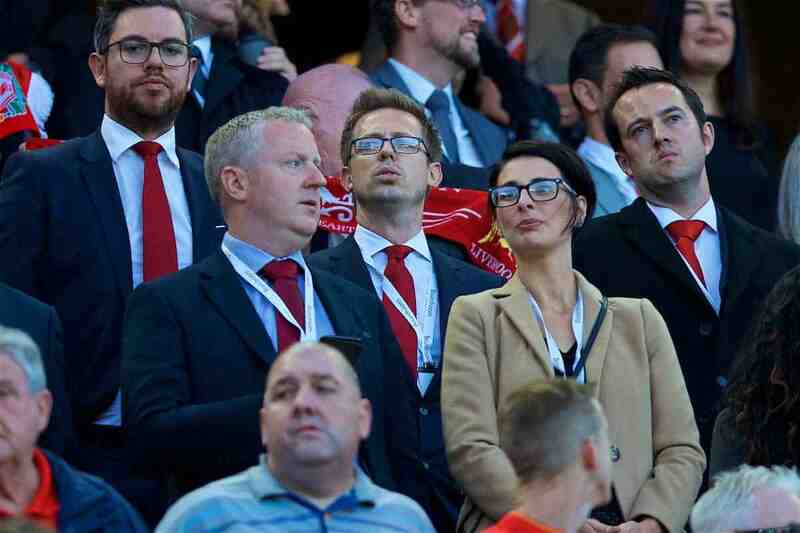 Despite initial skepticism over his role as Liverpool’s sporting director, Michael Edwards should be applauded for driving the club’s transfer policy. An idea was once floated, with plenty of evidence to back it up, that only 40 percent of Premier League transfers are a success. A pitiful number for a league which is supposedly one of the best in the world, has the best working within it, and has superior financial resources. 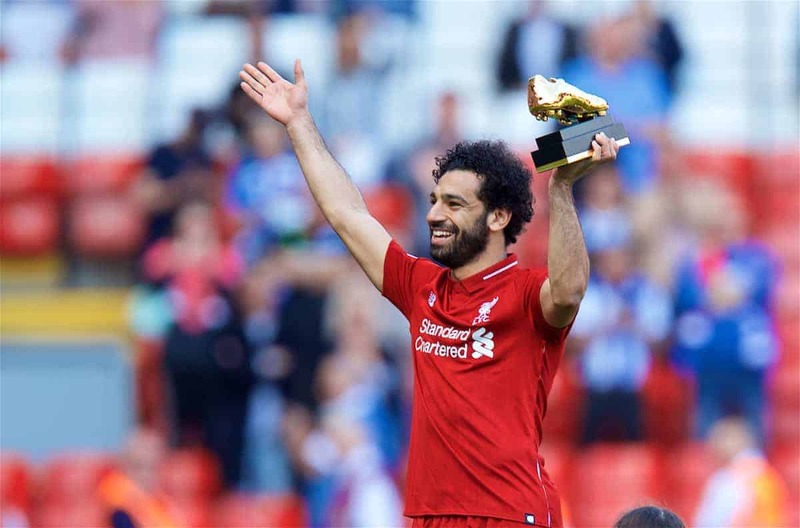 The findings were so conclusive that those that worked on them—Liverpool fansite The Tomkins Times—coined it a ‘law’, but this particular law is there to be broken. Any half-decent recruitment team should be aiming for a much higher success rate, and some are now starting to achieve this, including Liverpool. This article, written in 2015 for the same website, suggested ways the 40 percent can be increased. The only way for a club to be successful in the transfer market is to have its entire staff working towards one philosophy and signing players which fit the roles within it. This doesn’t mean there is only one tactic, one system of play or no ‘plan B’, but that the club has a clear idea of the type of skill-set they require in each position or role, and the type of character—the type of people—they want to bring into the club. Liverpool’s scouting is now as much about tactical profiling and mental assessment as it is about looking at a footballer’s skill-set. 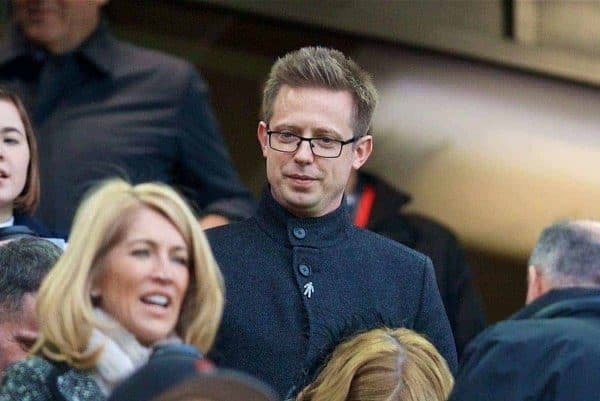 The club still use video analysis software to highlight a player’s strengths and weaknesses, and data analysis to create profiles of the type of player they might want to take a look at on the now-famous laptop of Liverpool’s sporting director, Michael Edwards. But this is now working alongside more traditional scouting techniques which involve getting to know the player on a personal level, and looking into his background in both a football and real-life sense. Potential targets are also doing their groundwork, and that initial relationship between a transfer target and the club itself now goes beyond getting Steven Gerrard to send them a text message. Players will contact friends at the buying club, or players from the same nation who have played in the league. “We spoke a bit more about how the city was, about the infrastructure of the club, the city and we also spoke about the coaches and how they do their work. “So I was able to know a bit more about Liverpool through Firmino. “I had been with him at the Brazilian national team on a few occasions. I know he’s a fantastic person, his background is from nice people. “He is also very good for someone who comes to a new country, a new city—someone who speaks the same language. 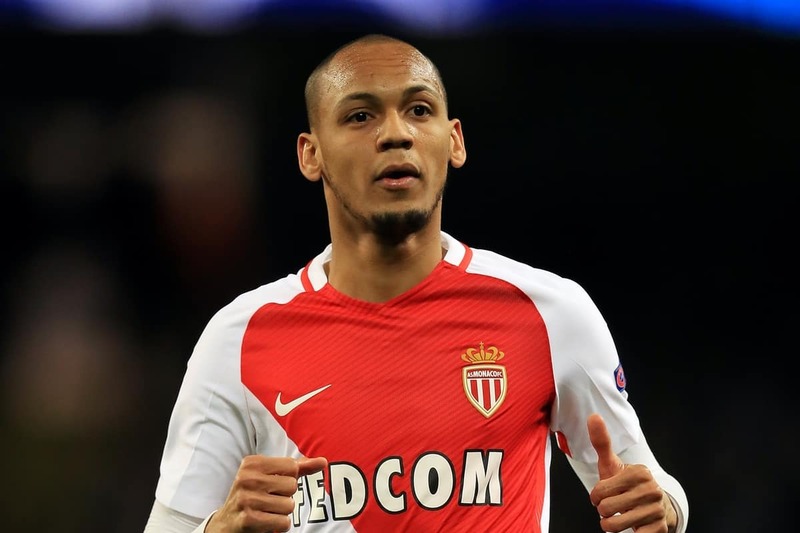 Fabinho’s transfer to Liverpool was old-fashioned in the sense that it came out of the blue and he is a player not widely known on the international scene. But in another way it was the most modern and transparent of signings. The public were given an insight into how transfers work, both from the words of the player himself and from the club. “We have signed a fantastic player, but someone who is an equally fantastic person I think,” said Klopp. “He is tactically very strong and football smart. He has a lovely family also—adding a person like this to our dressing room only makes us even stronger. In this statement Klopp mentions tactical suitability, and emphasises the person as much as he does the player. For even more insight you only have to follow Fabinho’s wife, Rebeca Tavares, on Instagram! Another recent transfer target reveals more about the type of profiling which goes on in the club’s scouting department. The identification of Nigerian international Moses Simon, who currently plays his football in the Belgian league for Gent, tells us a lot about the way Edwards and his staff go about their business. The club were initially linked with Ousmane Dembele, who was also on their list back when they signed Sadio Mane. Dembele, now at Barcelona, is a quick, two-footed, hard-working and versatile winger who would be ideal for both counter-attacking and counter-pressing. The description of Dembele could be describing Mane, or indeed Simon, and shows that there are certain profiles of player which are drawn up and then matched to players across the club’s scouting network. They have their fingerprint, and they will find the closest matches within their database before investigating further. These further investigations involve assessments of the player’s mentality, as well as their character, as mentioned above. Even the quieter players signed under Klopp have something about them, and are strong characters even if they may not be extroverts. “Shy. Quiet. Introverted. 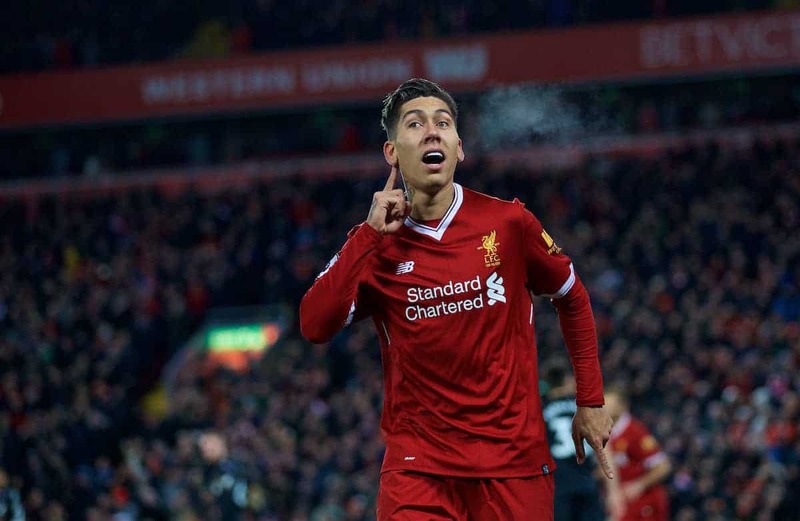 The words crop up whenever those who have been part of the 26-year-old’s career are asked to describe him,” commented Andy Hunter in the Guardian’s article on Roberto Firmino before the Champions League final. But those who follow the Brazilian on social media or witness his goal celebrations, regardless of whether they are scored by himself, would not describe him as an introvert. Firmino was one of the first players to arrive at the club to hint at a new direction when it came to recruitment, but during this period the scouts and coaches weren’t on the same page. Firmino was initially shoehorned into the side on the right wing which, unless he’s going to be used as some Thomas Muller-style raumdeuter, is probably his worst position. 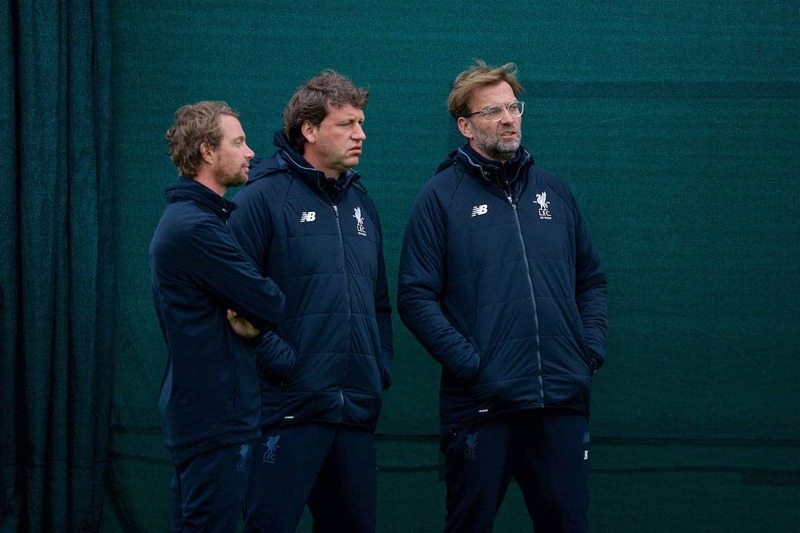 Klopp arrived two months later and he was immediately switched to a more central role, or one from the left—the two positions he’d thrived in at Hoffenheim and the positions in which he would have been assessed by Liverpool’s scouts. Firmino has gone on to epitomise Klopp’s system in the attack, and the arrival of Naby Keita this summer could do the same for the midfield. Elsewhere, a disconnect between management and recruitment remains at many clubs across the Premier League as they struggle for continuity in an environment where short-term moves are tempting, but often fateful. It’s baffling that, with all the money floating around, it continues to be a problem, but the money may also be part of the reason quick fixes are regularly sought. With their resources, English sides should regularly be appearing in the latter stages of the Champions League and even winning it. It’s no surprise that the two clubs who’ve got their act together in terms of the marriage between their philosophy and playing style, with all departments working toward the same aims, were two standout sides in the Champions League during 2017/18 season. Clubs still throw money at players simply because they can, or because they’ve been offered to them by agents, without any thought of how they will fit into their team tactically or what effect they will have on the dressing room. Rather than be ridiculed for using a laptop to sign players, or having the temerity to sit in an air-conditioned office suggesting players based on data alone, Edwards and his staff, including Dave Fallows and Barry Hunter, are now one of the best recruitment teams at the highest level of the game. 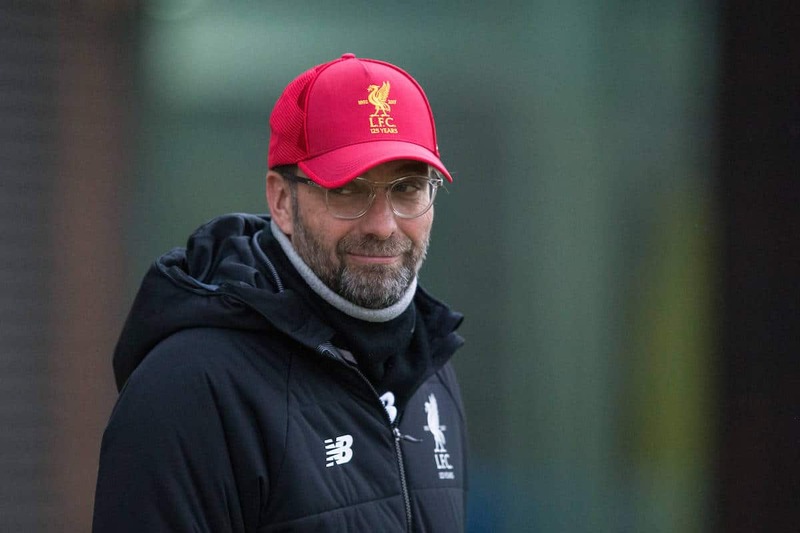 They now face other problems as a result of this success as other clubs begin to adapt their own methods, and selling clubs become wary when Liverpool are linked with one of their own. In terms of the profile, this signing would have been part Coutinho replacement, and part extra attacker. Fekir puts up better numbers than the Brazilian in terms of goals and expected goals, but slightly less—although far from shabby—in the creative stakes. In his report for the Times on the transfer, Joyce also added praise for the whole scouting team, who are getting their business done early in anticipation of World Cup-related price hikes. 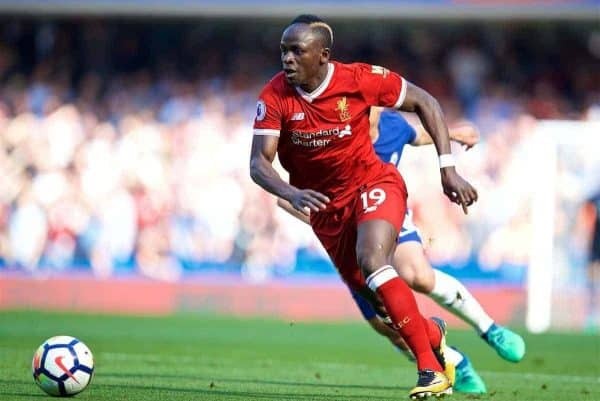 “The speed with which Liverpool are moving in the transfer market is thanks to the work of the club’s recruitment team of Edwards, Dave Fallows and Barry Hunter,” he wrote. However, depending on which reports you believe, the Fekir signing is now somewhere between on hold and abandoned completely. Something cropped up after much of the transfer process was complete to make one of the parties involved step back from the initial pre-World Cup deal. If this caution is from Liverpool’s side this isn’t necessarily a bad thing. Both the club and the supporters would have loved another signing to be wrapped up before the World Cup. But if a doubt emerged somewhere along the line, or the club believed they wanted extra assurances or a different financial package based on the medical, then they are right to reconsider or try to repackage the deal. 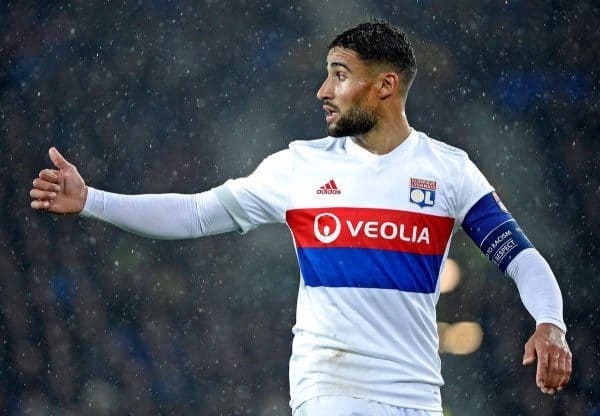 There are alternatives to Fekir in the market, and Lyon will know this too. Liverpool still hold all the cards, as long as they do actually have an alternative lined up. It was Edwards and his gang who gave Klopp, who was already a fan of Mohamed Salah, the extra nudge he needed to take the plunge by convincing him he was an ideal player for his style of football. He’s been a decent signing. Together they are making the 40 percent law a thing of the past, and even the clubs with plenty of money are now beginning to realise that they can’t just throw it at high-profile players and hope for the best. 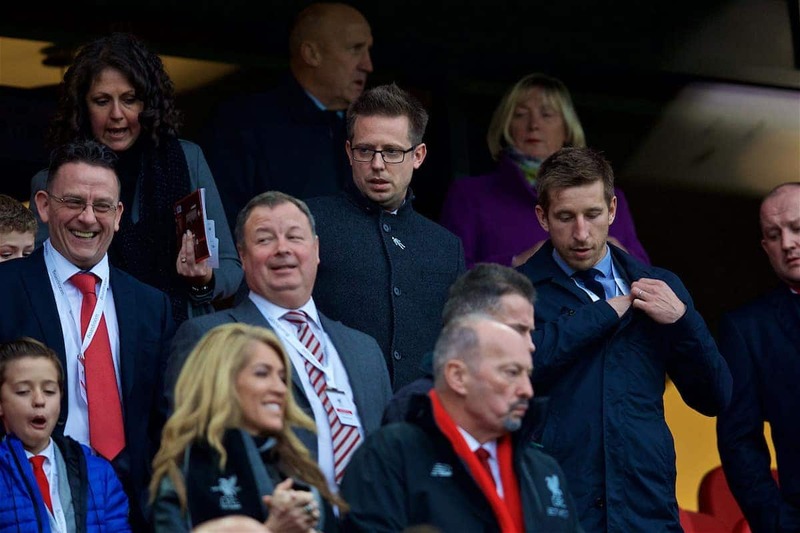 This strategy means bargains can also be had, and signings such as Andy Robertson and Ragnar Klavan, are probably the closest football will get to the baseball phenomenon, Moneyball, which is closely associated with Liverpool’s owners. As more clubs follow suit, the game will improve and become more enjoyable for the spectators. Fans know that not everyone can win all of the time, or even some of the time in Everton‘s case, but the next best thing is turning up to watch a team which is good to watch and functions as a unit regardless of the style of play they choose. Everton themselves are now going down a similar route with director of football Marcel Brands and highly regarded new manager Marco Silva. They improved under Sam Allardyce, but were still disjointed. 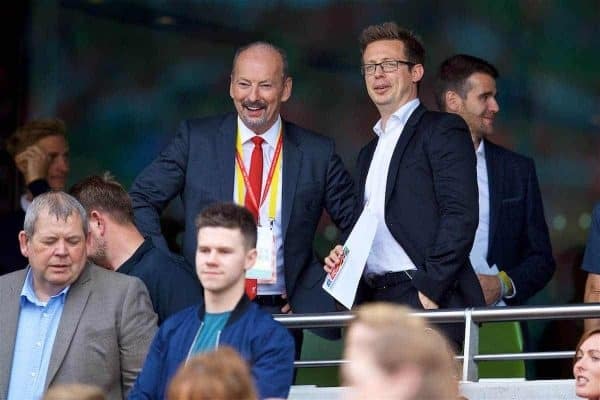 Edwards is just one of the sporting directors leading the way and, depending on how the next few seasons pan out, once he decides to hang up his laptop it could end up on display in the LFC museum.